The restaurant menu is the newest thing to go digital. 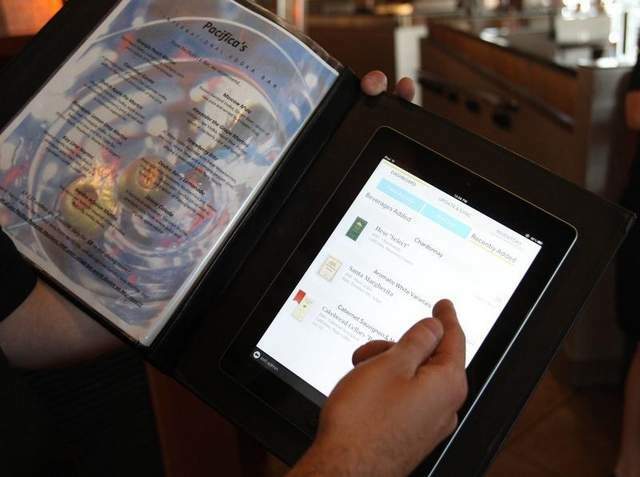 Sleek, black and modern iPads are making a big splash at a few local restaurants, changing how those fine-dining establishments run their businesses. Fine dining is an industry built on human interactions, but the tablet is changing that interface in a variety of ways. Tablets have become a contemporary substitute for the paper menu, creating a more knowledgeable consumer. Payments can be done tableside, taking a fraction of the time to pay a check. Some restaurants have opted to update their point-of-sale systems with tablets instead of boxy computers. Even the server’s pad has been updated to a hand-held device.